Forged copper necklace with copper chain and clasp. Turquoise fused glass element. 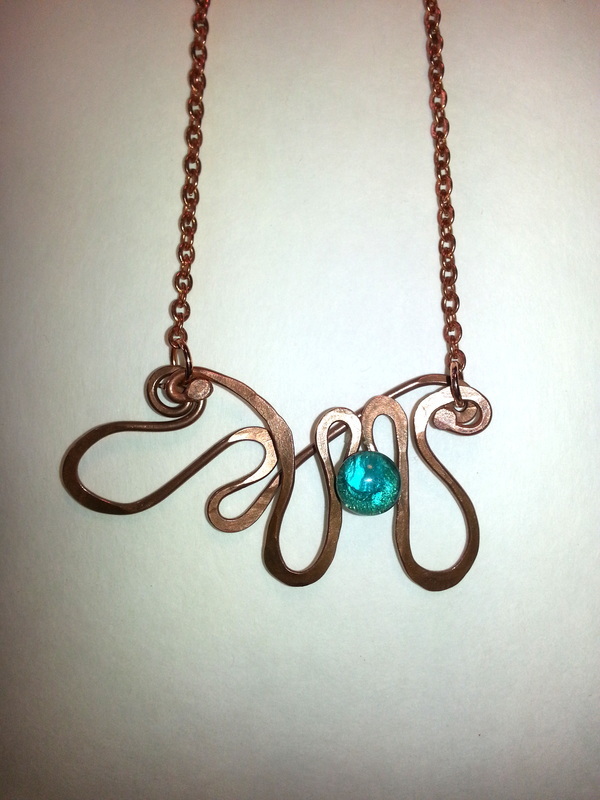 Forged copper necklace with copper chain and clasp.